Enjoy Cyclocross Magazine in print? Like the daily cyclocross news stories on cxmagazine.com? Find the dedicated cyclocross forums and social network useful? As you can imagine, all of that stuff has a cost, and we’re just a tiny operation chasing the dream of giving our sport a bigger showcase and bringing you dedicated, in-depth coverage. Hopefully you’ve enjoyed the results of our hard work and benefited from our years of dedication to this cause. 1) Subscribe to the print magazine! It’s completely different than the website, featuring in-depth content with racer interviews, behind-the-scenes looks at special events, comprehensive and objective product reviews, myth-buster tests, amazing photography, and training and technique articles for all levels of riders. For less than the price of one race entry, you’ll receive four content-packed issues of cyclocross bliss (each issue has three times the content of your average cycling magazine – no joke!). 2) Support our advertisers and let them know you saw them at Cyclocross Magazine! Without our print advertisers or online advertisers, we’d be stealing our ramen and making our own tubular glue. 3) Donate to our cause. 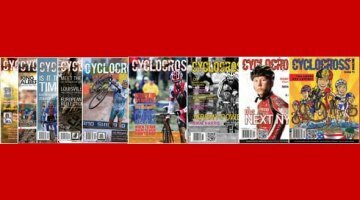 Your monetary or product donation will help Cyclocross Magazine’s operations and fund future projects and equipment needs. $10, $100 or $1000, it’ll all go towards the magazine and making sure we put out the best cyclocross content possible, and retain our underpaid or volunteer contributors. 4) Shop using our links. We know that in addition to supporting your local bike shop and Cyclocross Magazine advertisers on this site, there are times when shopping online elsewhere is necessary. For your cycling and non-cycling online purchases, a small percentage of the sale can help Cyclocross Magazine with no additional costs to you! Use any of the following links every time you shop at the following merchants for anything, and support your favorite magazine and website! 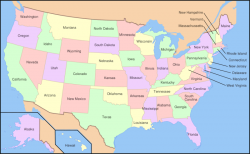 Are we missing a merchant you shop at frequently? Let us know! Issue 5: Check the Label! 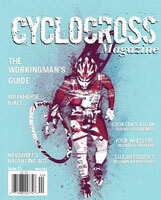 Subscribe to the Only Dedicated Cyclocross Magazine Today!